Winter is the time of year when it may be difficult to get comfortable. First you’re chilled, so you use extra blankets, but then you’re too hot, so you lose the blanket until you get cold again. It’s a vicious cycle, even in the relatively mild winters of Clearwater, Florida. 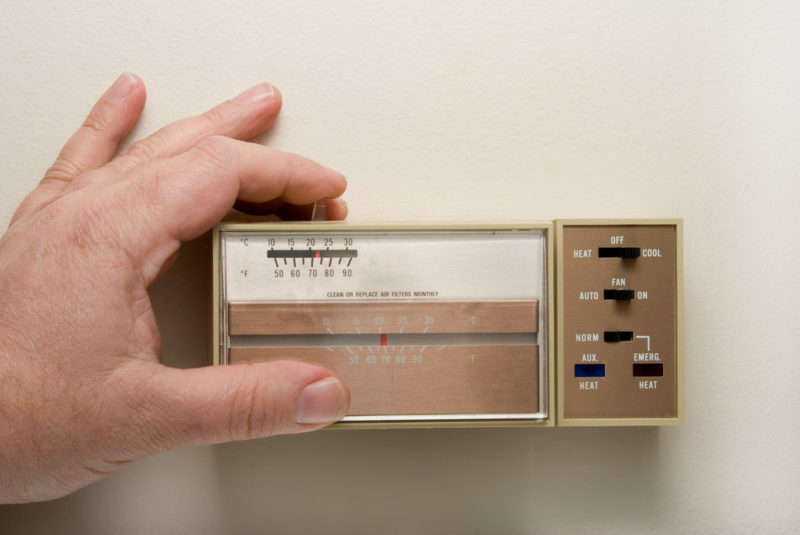 If you’re constantly uncomfortable in your home, then you’re not taking enough advantage of your thermostat. Use a programmable thermostat to reliably regulate the perfect winter temperature and enjoy greater comfort and lower utility costs. Here’s how you can set the perfect home temperature this winter. Thermostats are the key to winter comfort. Cranking up the heat isn’t the total solution, soon your home will be too hot and you’ll be tinkering with the temperature. Plus, that high temperature is no friend of your utility costs. Try following this principle: the closer your thermostat setting is to the temperature outside, the more efficient your heating system will be. While it may sound a little on the cool side, the perfect temperature setting for your thermostat during the winter is 68 degrees Fahrenheit. The easiest way to maintain this temperature is to use a programmable thermostat. With such a thermostat, you can program certain temperatures for certain times of day. Maybe let the temperature fall below 68 while you’re at work so your system can be more efficient, which will help extend the life of your heater, too. Why 68 degrees? This temperature will put less strain on your HVAC system, which means it will be able to maintain comfort and indoor air quality for a longer period of time. Push your system too hard by keeping the temperature too high, and your system may quit when you need it most. See for yourself. Set your thermostat at 68 and watch for the difference in your utility bills. Don’t have a smart thermostat? Have one installed today by calling our professionals at Advanced Cooling Systems at 866-827-7662.